Discover the mysteries behind the BurgerTron 2000! 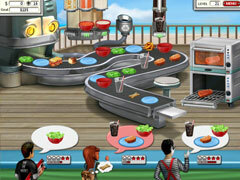 Engage in frantic, burger making madness in this exciting double pack! 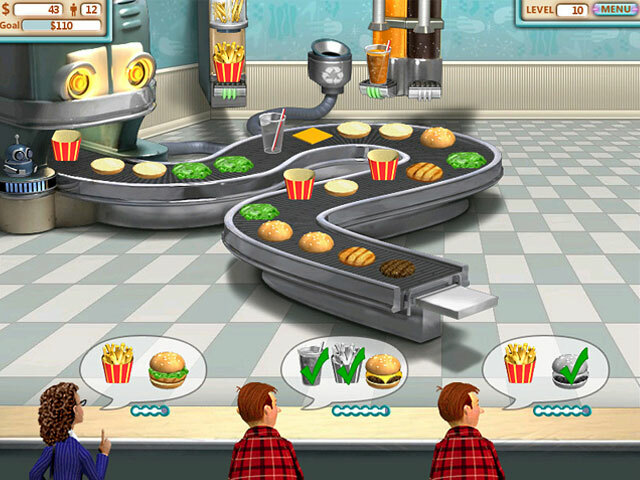 In Burger Shop, after receiving a set of strange blueprints in the mail, you build an extraordinary food-making contraption. Naturally the most obvious thing to do next is open a restaurant. 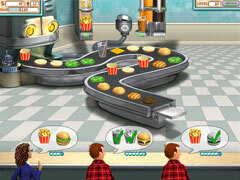 As you progress through eight different restaurants, you will uncover the many mysteries behind the BurgerTron 2000 and its strange origins. 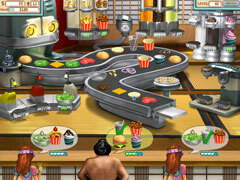 Create a universal chain of restaurants and fiund fame and fortune! In Burger Shop 2, you find yourself in a dumpster with a bump on your head, your restaurants boarded up, and no memory of how any of it happened. Now you must rebuild your restaurant empire, adding new twists to your menu to entice new customers while uncovering the truth about what happened to your original restaurant chain. -Two games in one package!